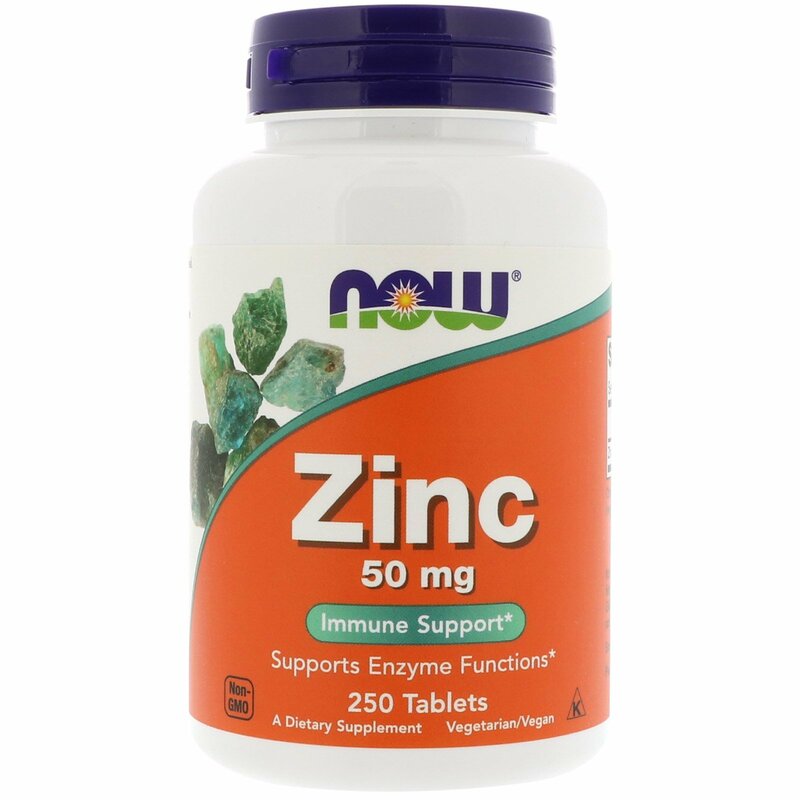 Zinc is essential to the normal function of many organs and systems within the body including the skeletal, immune, neurological, and endocrine systems. Zinc is a necessary mineral co-factor for hundreds of enzymatic reactions related to protein and carbohydrate metabolism, RNA/DNA synthesis, and intercellular signaling. 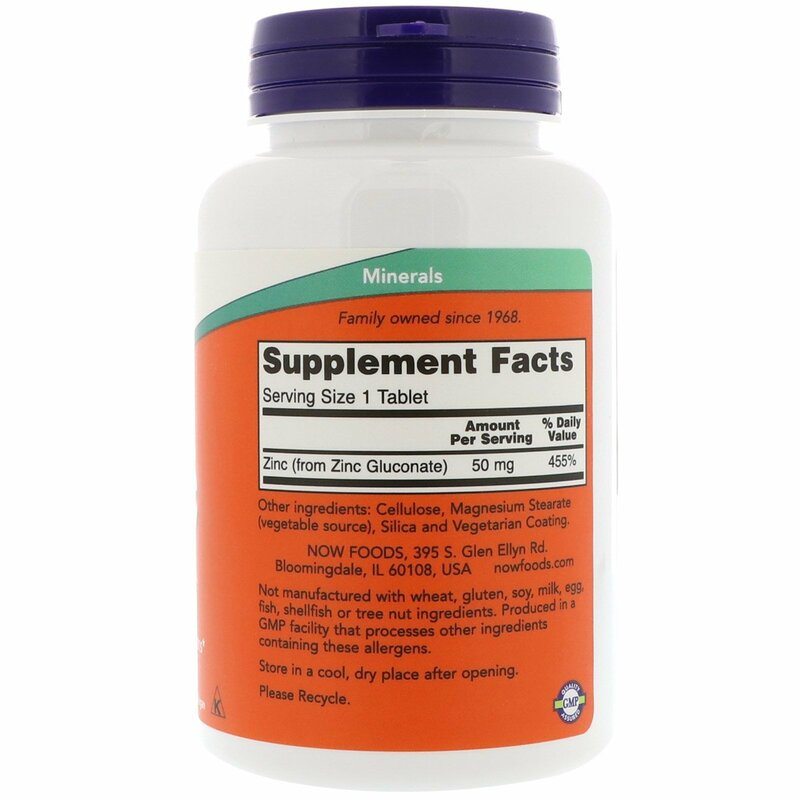 It is also known to play a critical role in the body's defense against oxidative processes and is especially helpful for maintenance of healthy aging. 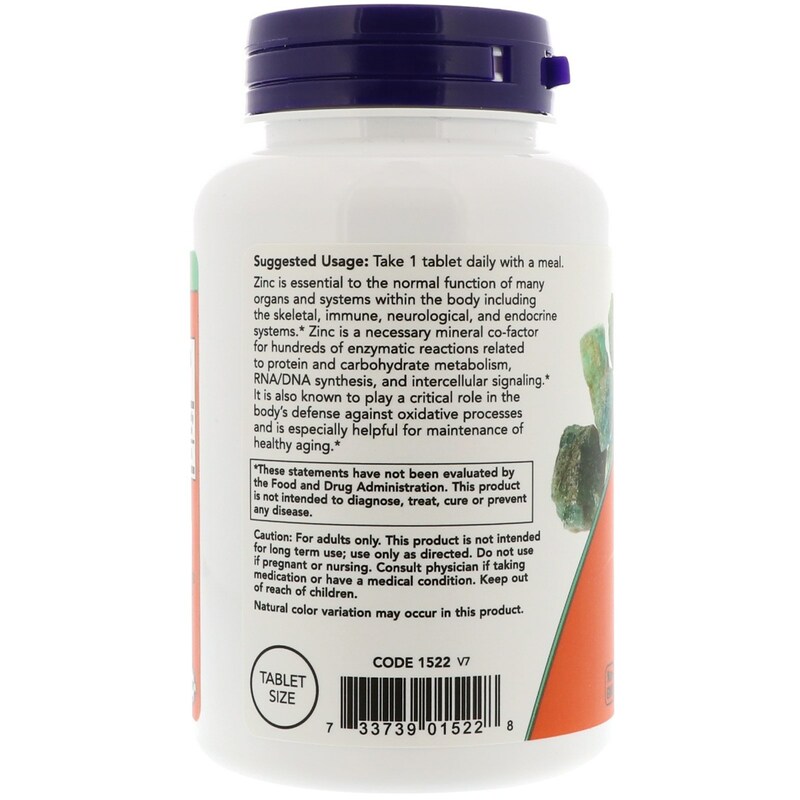 Take 1 tablet daily with a meal. Cellulose, magnesium stearate (vegetable source), silica and vegetarian coating. Not manufactured with wheat, gluten, soy, milk, egg, fish, shellfish, or tree nut ingredients. Produced in a GMP facility that processes other ingredients containing these allergens. Caution: For adults only. This product is not intended for long term use; use only as directed. Do not use if pregnant or nursing. Consult physician if taking medication or have a medical condition. Keep out of reach of children.